Zach Snyder’s second consecutive appearance on this list comes in the form of the highly stylized, over-the-top, much-quoted Spartan epic, 300. Its been parodied and ripped apart for historical inaccuracies so much over the years (you mean, there really weren’t mountain-sized war elephants in Greece?) that it can be difficult to view this graphic novel adaptation with pure eyes anymore. Much of the buffoonery the movie inspired was deserved – it really is quite silly at times – but there is a considerable amount here to like. Firstly and most ironically considering the main gripes myself and others had with No. 35 on this list, 300 is an incredibly faithful adaptation of the source material. Regularly lifting shots frame-by-frame and panel-by-panel from the graphic novel, Snyder’s unique visual flair gave the world one of the closest things we have ever seen to a moving comic book on the big screen. In a world where Batman is essentially protecting Chicago and the X-Men are making jokes about “yellow spandex”, it was nice to see someone take the original ideas, including the presentation, so seriously. As much fun as it is to see some of these characters placed into a more grounded and believable reality, there is a creative freedom that comes in comic books and video games that allows you to bend the rules. Audiences for film tend to demand a certain (in my view forced) “reality”, but being able to create something impossible is at least half the fun. 300 succeeds on this level in every way. It doesn’t need to make sense, it just needs to look super eye popping and cool. 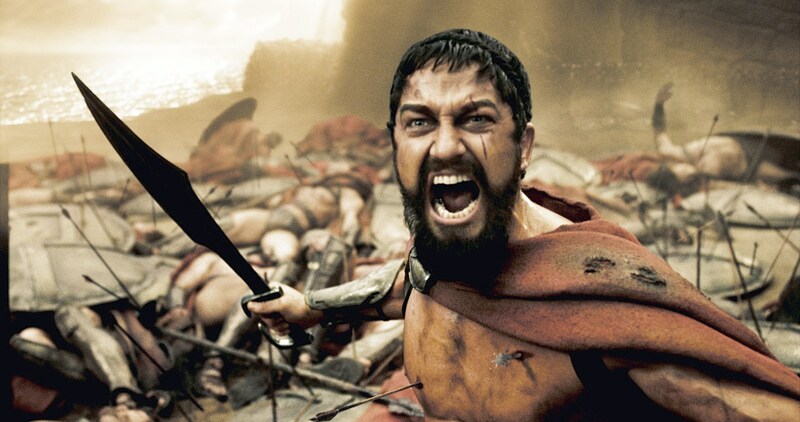 Images from 300 have been etched into the cinema history books making it an achievement in film that few comic book or graphic novel adaptations can claim. I tend to prioritize deeper story-telling and character development of which there is some but not much in this flick, which is why it falls down this list a bit despite the overwhelming aesthetic success.